150 years ago today, the English Football Association was founded. 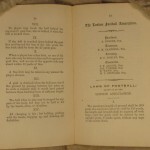 In a London tavern a group of representatives from a dozen clubs playing their own versions of football met, “to form an Association with the object of establishing a definite code of rules for the regulation of the game”. Over the next 44 days and 5 further meetings, they laid down the foundations for the laws and character of football played throughout the world today. 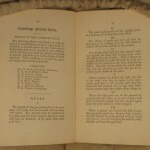 The genesis of these laws however can be traced back to the work and foresight of 14 men at Cambridge, who 15 years earlier, to their abiding credit, had made the initial steps of creating a unified code for the game of football. 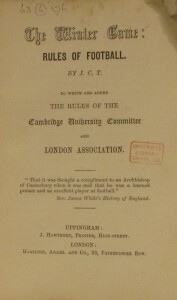 In the week of 1863 that the FA was forming, the ‘Cambridge Rules’ were being revised. 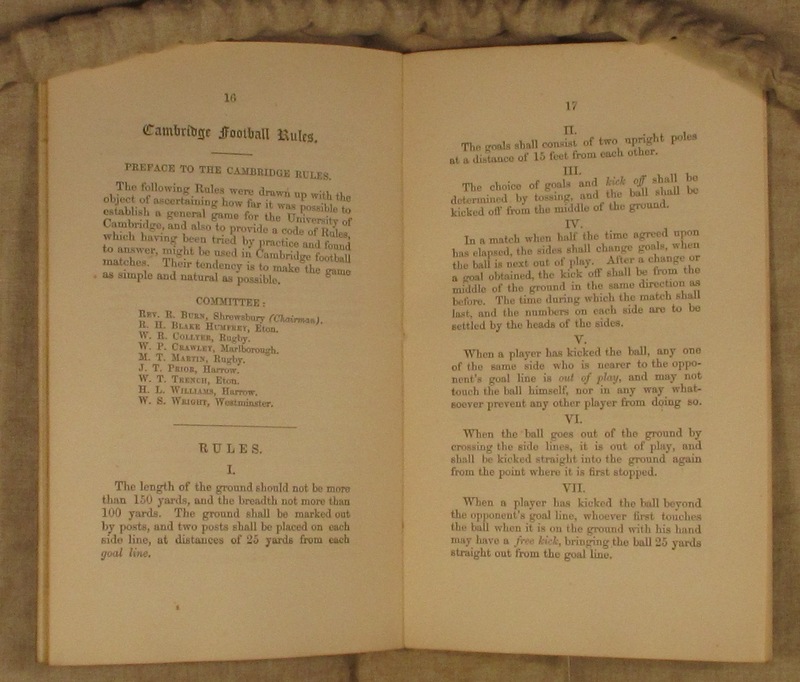 It is a copy of these rules that the University Library proudly houses. These laws of the game were to be the cornerstone of the new Football Association rules; indeed it can be said that the new Cambridge Rules were pivotal in getting the new FA rules off the ground. The minutes of the Football Association meetings show a distinct difference of opinion with two particular areas of the game; handling the ball and ‘hacking’. Both of these had no place in the Cambridge Rules, to the dismay of some FA members. There was a proposal that if the Cambridge Rules were to be adopted, ‘hacking’ should be insisted upon; and the lack of hacking “savours far more of the feelings of those who like their pipes and grog or schnaps more than the manly game of football.” Thankfully there was a small majority who sided with the Cambridge Rules, believing them to be “the most desirable for the Association to adopt”. Reading through Thring’s revised publication, which includes both the Cambridge Rules and the new Football Associations’ rules, shows just how striking their similarities are. It could be argued that the Cambridge influence on the game today is underplayed, certainly within the city which is more associated with various other pioneering achievements. 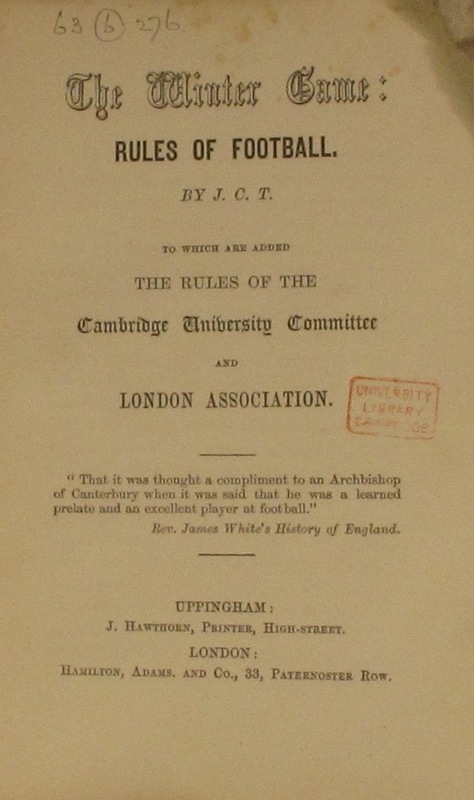 The clarity, and resolution, of the Cambridge Rules certainly made them attractive to the newly formed Football Association, and gave more than a foundation to build upon. Indeed, reading through the minutes of the Football Association, it could be questioned if anything would have been agreed had the rules been put together from nothing and more compromise had been agreed. What is also noticeable is how keen the Cambridge Rules were on proposing how the game should be played ideologically; still much of an issue today. Thring’s comments about playing the ball along the ground for example, as opposed to in the air, are much at one with the tika-taka of Barcelona today. In this way it is not just the rules but the spirit of the game Cambridge helped shape 150 years ago. 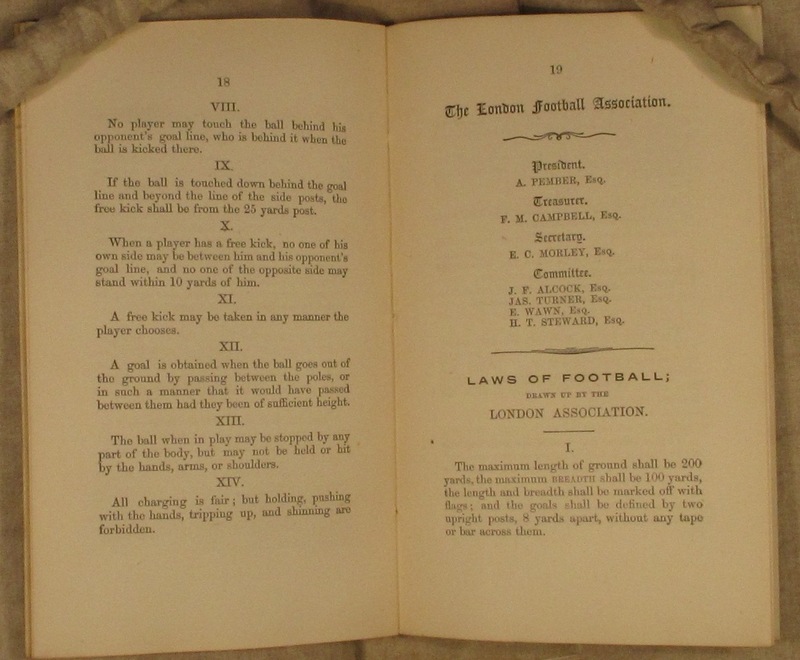 The winter game : rules of football, by J.C.T ; to which are added the rules of the Cambridge University Committee and London Association. The history of the Football Association, by Geoffrey Green.